An interview with Franny Moyle, Author of Turner, the Extraordinary Life and Momentous Times of JMW Turner. I picked up Franny’s biography on Turner earlier this year and thoroughly enjoyed learning more about this important artist’s life. Turner is one of the United Kingdom’s greatest artists, and is, perhaps its best known, but I didn’t know much about his life. I found Franny’s biography fascinating and enlightening. Franny Moyle joins me for the interview from her home in England. Order your copy of Turner, the Extraordinary Life and Momentous Times of JMW Turner by Franny Moyle from Amazon, or from your favorite bookseller. The link below is an affiliate link, which means we receive compensation if you make a purchase using this link. A View of the Archbishop’s Palace, Lambeth – this watercolour was Turner’s first to be accepted for the Royal Academy’s annual exhibition in April 1790, the month he turned 15. The image is a technical presentation of Turner’s strong grasp of the elements of perspective with several buildings at sharp angles to each other, demonstrating Turner’s thorough mastery of Thomas Malton’s topographical style. 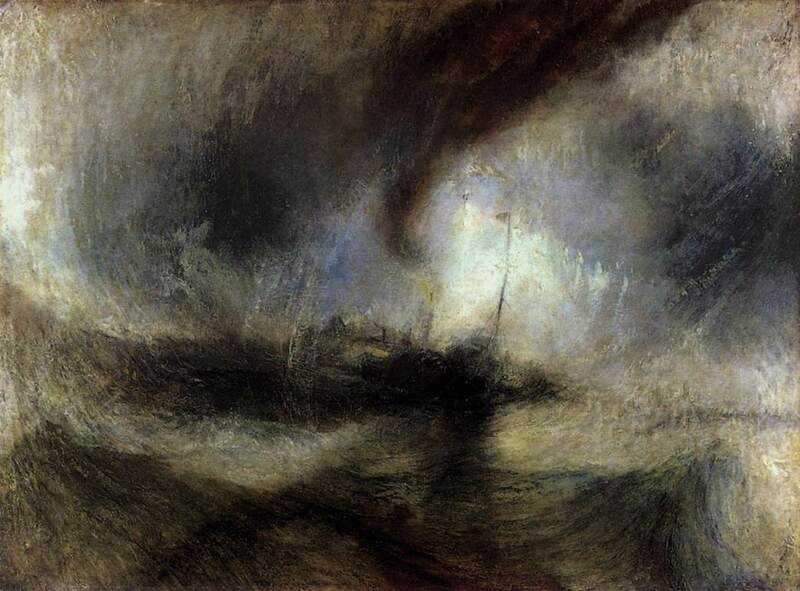 Fishermen at Sea exhibited in 1796 was the first oil painting exhibited by Turner at the Royal Academy. One of Turner’s most successful “house portraits”: Raby Castle, the Seat of the Earl of Darlington The Walters Art Museum. The link below is an affiliate link, which means we receive compensation if you make a purchase using this link. Enjoy the Podcast? Leave a Comment! Did you enjoy my interview with Franny Moyle? Are you a Turner fan? Please leave a comment below! I also read Franny’s book on Turner this winter. It’s a great read. I sat with the book on my lap and my ipad at my side so I could look up the images she was referring to if they we not already in the book. Good stuff!